On Tuesday, Oliver and Charlie both represented Barking & Dagenham at the London Panathalon. 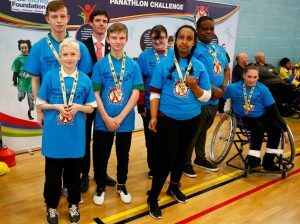 They took part in Table Cricket, where they won an exciting final by 6 runs, and the team relays helping the Borough come first in each. From the four Boroughs they competed against, only one would go through to the June final which will take place at the Copperbox. They came first with an incredible 58/60 points.